I'm just going to start out by saying - you can't really beat an engagement session on a boat! 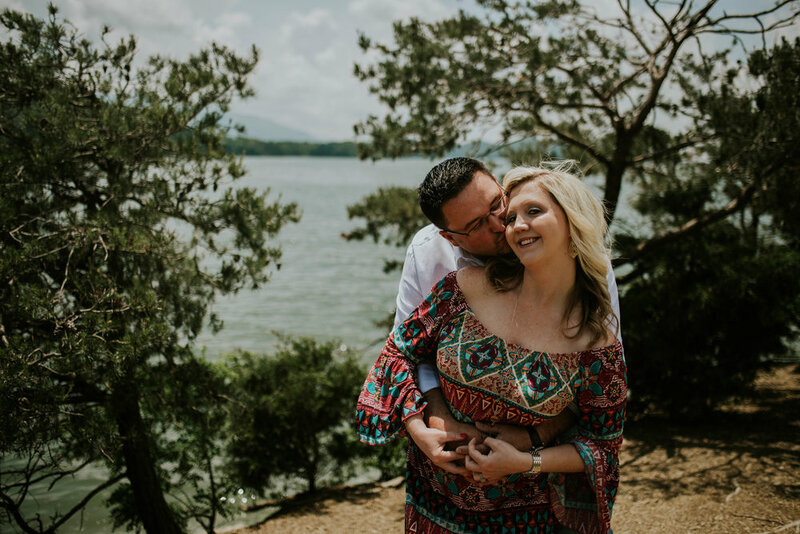 I met up with Shawna and Matt at Lakeview Dock in Bristol, TN, overlooking the always beautiful South Holston Lake for their engagement session! 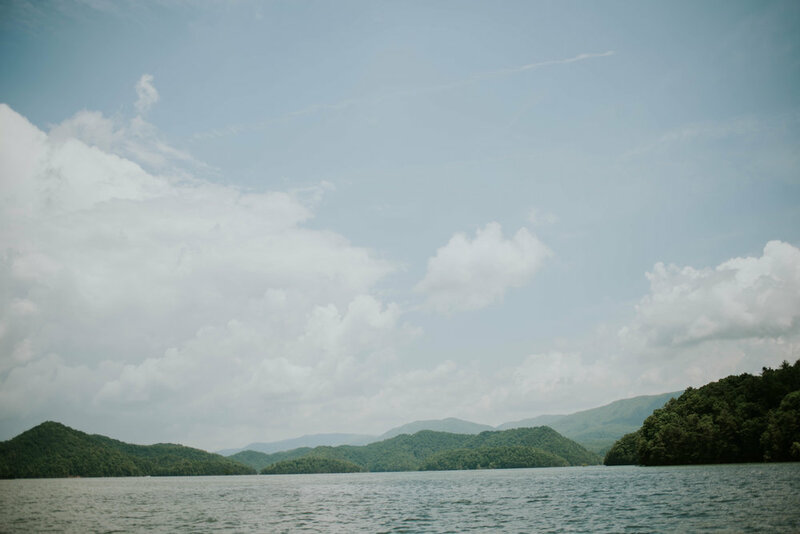 We spent the afternoon boating around the lake to find the perfect spot, which proved difficult because we had just come off of what seemed like weeks of rain and some areas were flooded. We finally found a place on Cliff Island, a popular small island with the locals, where we climbed up to the top to get some beautiful portraits with the lake in the background. 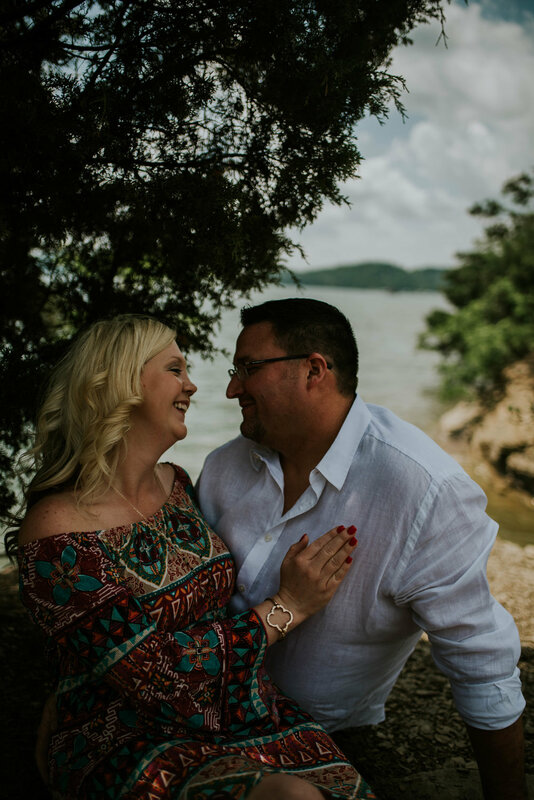 Matt boated us back to the dock for a quick change of clothes and then we milled around the docks a little longer, getting some sweet, romantic pictures of these two lovebirds just hanging out and doing what they do best - loving each other. I can't wait for their wedding in September at the Foundation Event Facility in Bristol, TN! They have some great ideas so far and I can't wait to see how they execute them and truly make that space their own!